All natural ingredients, baked in small batches, hand cut, hand packaged and delivered fresh to our customers. Nita Crisp Crackers are named after Nenita Pellegrino who modified a recipe to make a crispier and healthier cracker for her catering menu. Requests to buy these crackers started the Nita Crisp adventure - from selling at local farmer's markets to eventually shipping Nita Crisp Artisan Flatbreads to customers across the country. 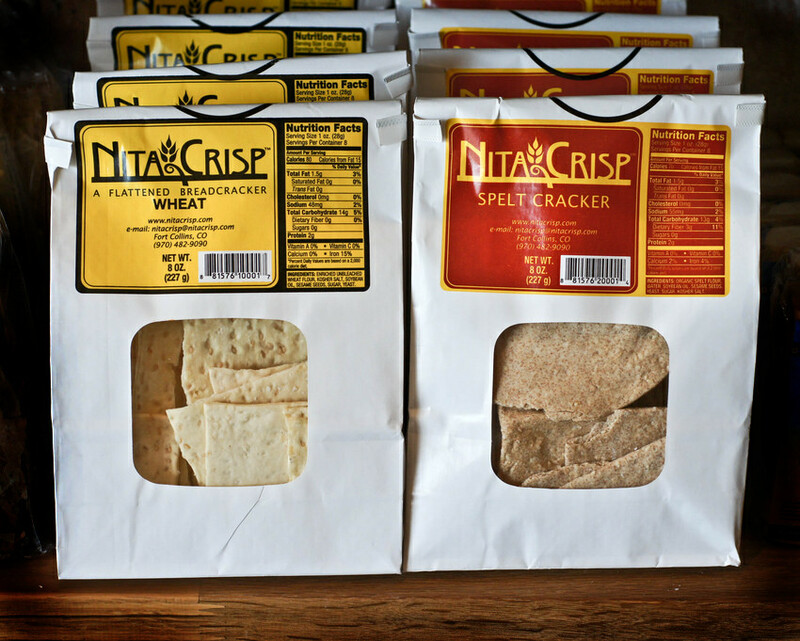 Nita Crisp Artisan Flatbreads are available at natural grocers, specialty food stores, and restaurants from coast to coast. The adventure continues, however, our philosophy has not changed: all natural ingredients, baked in small batches, hand cut, hand packaged and delivered fresh to our customers. Follow us on Facebook at fb.com/nitacrisp.